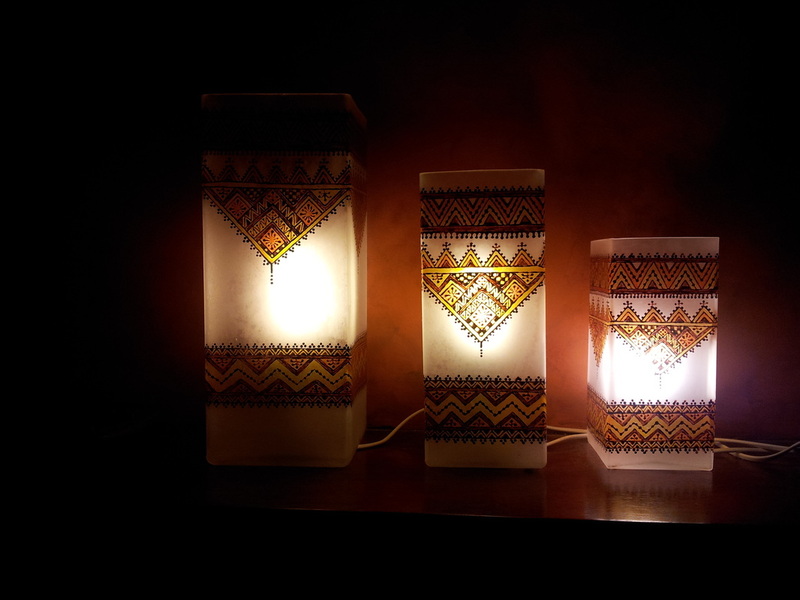 The following lamps make use of Berber, Women's Henna design. 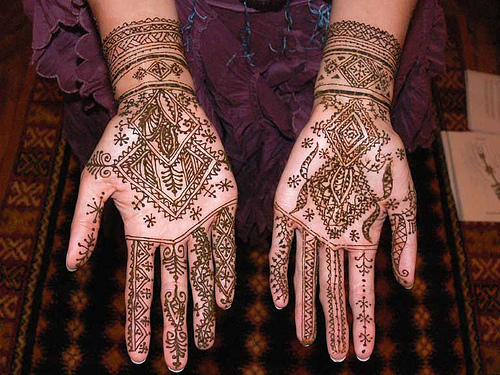 These designs are used by women mostly during holidays and weddings or special occasions. 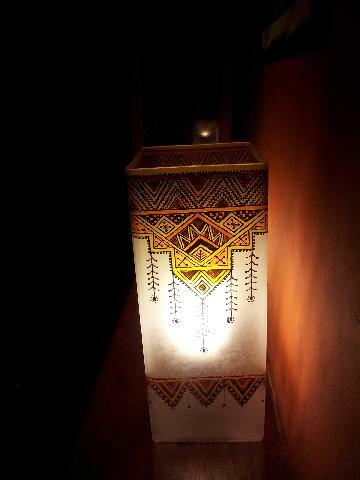 Berber designs are largely geometrical and makes use of a number of symbols. 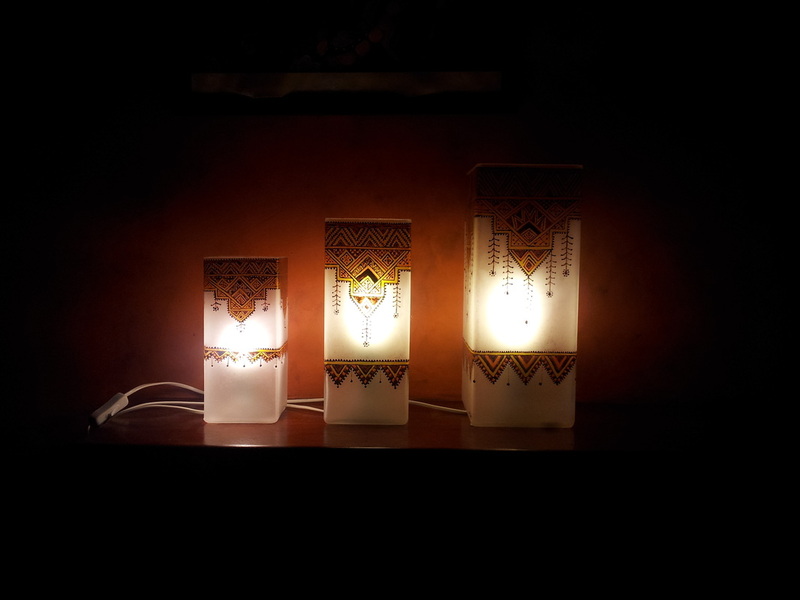 The sample at left shows how the inspiration is translated into the lamp designs below. 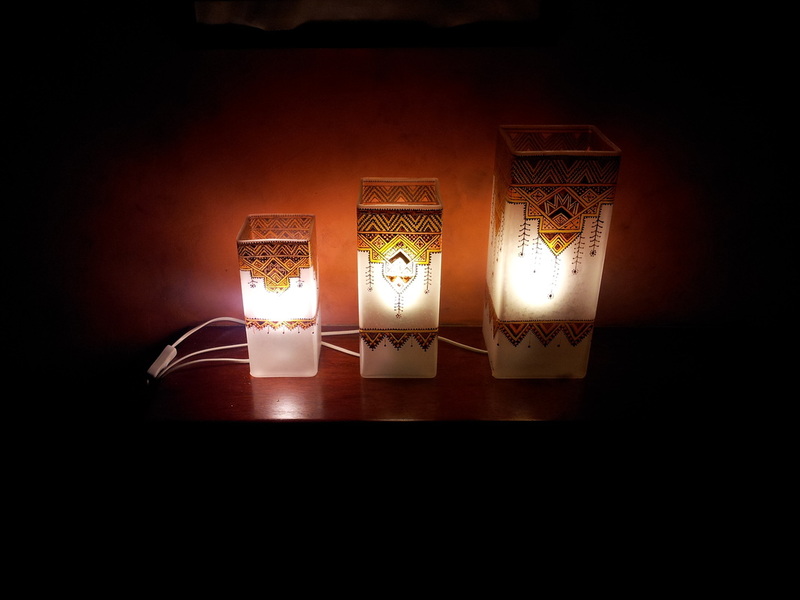 Lamps come in sets of 3. 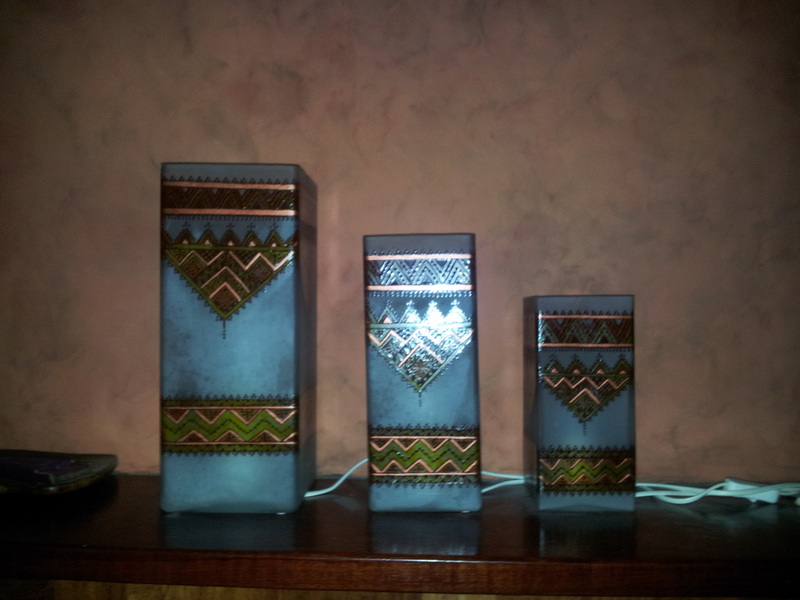 All have the same design per set. 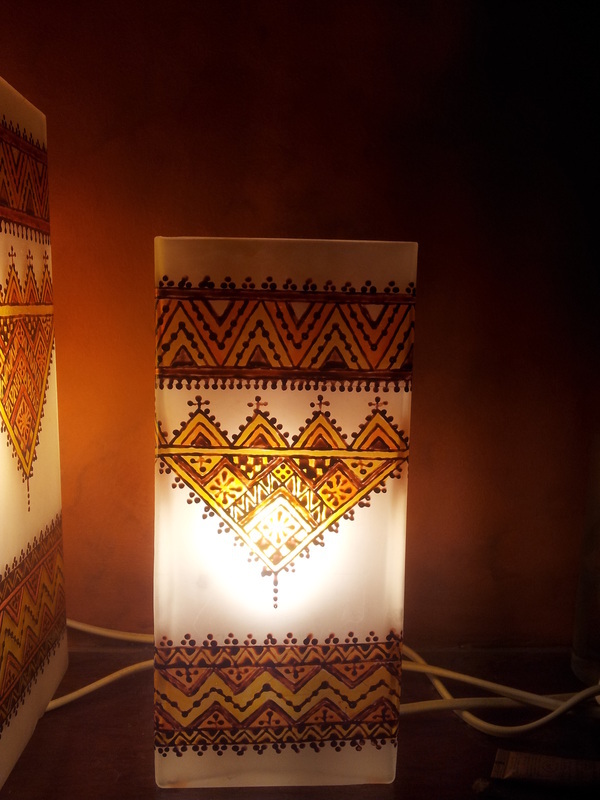 All lamps are made of crystal, using ceramic painting to attain a Henna design and effect. 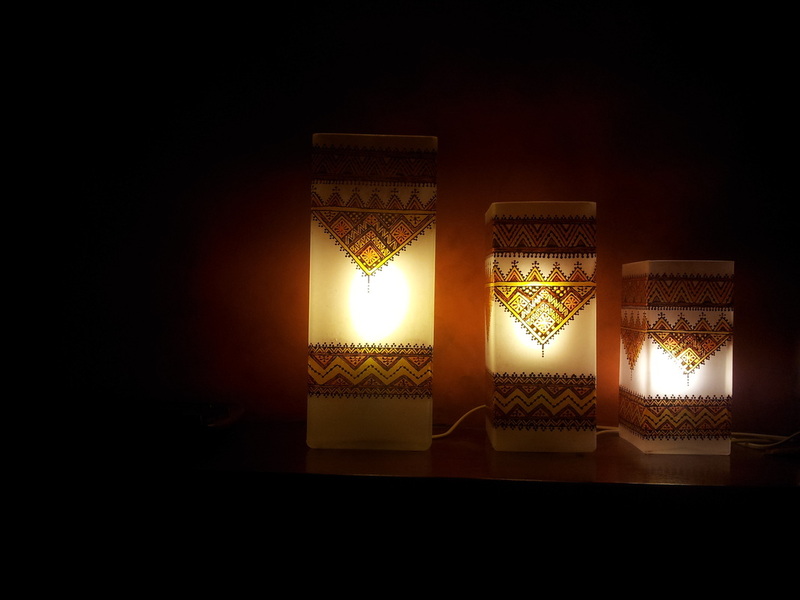 Each lamp set comes in a small lamp (22.5 cm or 8.5 inches), a medium lamp (28 cm or 10.5 inches) and a larger lamp ( 35.5 cm or 14 inches). 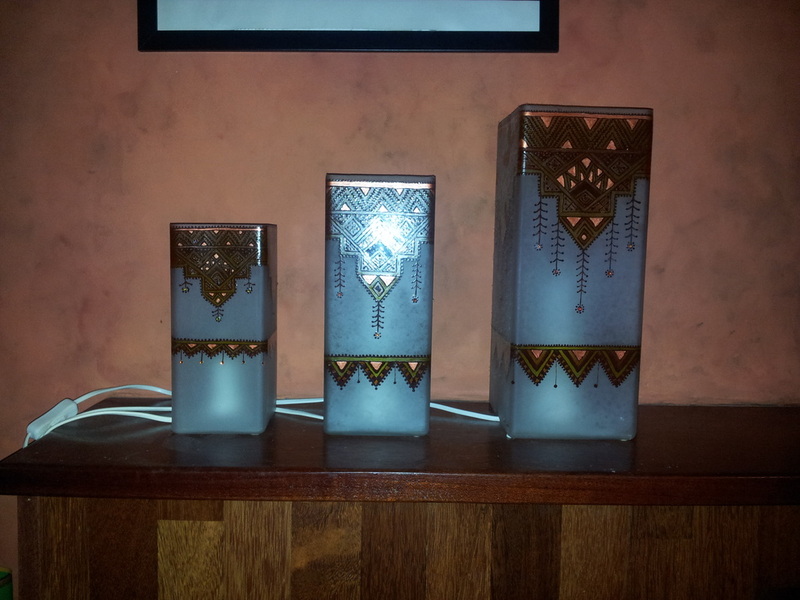 Pricing: These pieces are for demonstration purposes. 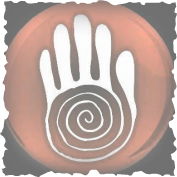 Similar designs are available and pricing is subject to negotiation depending upon the size, design and available lens.